Each summer in July, around 125 youth and youth leaders come to Harmison to camp out in tents for CAMP JOY, a Christ-centered mission of the Hancock United Methodist Church. 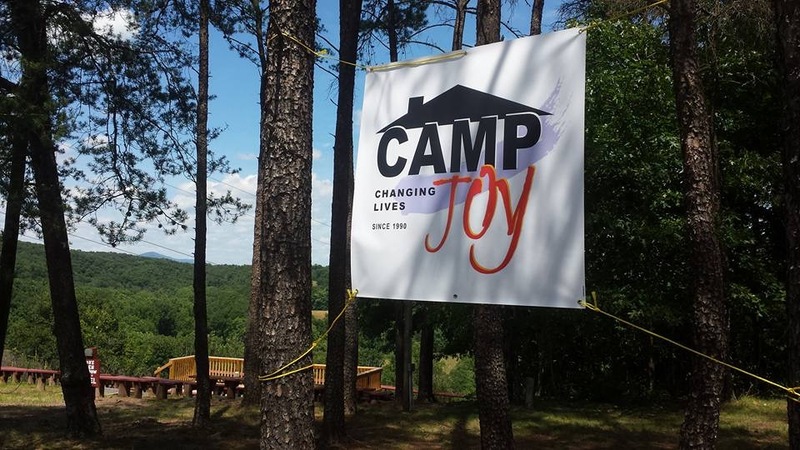 CAMP JOY stands for Christian Appalachian Mission Project, Joining Other Youth. During their mission, campers reach out to low-income, elderly or disabled homeowners struggling to make needed repairs to their homes. The work sites are typically located in Hancock, MD, Warfordsburg, PA, Berkeley Springs, WV, Great Cacapon, WV, and Paw Paw, WV. This wonderful outreach allows youth and people of all ages to work together in service to the community, and has touched the lives of many — both recipients and participants. Visit CAMP JOY’s website for more details and registration.